Full name: Bruce Lee Penhall. Penhall was not only one of Cradley's biggest heroes, but he was also one of the greatest ever Speedway riders. He made the most remarkable rise to fame in the space of a few years, from making his British League debut in April 1978 to winning the World Title and every personality award on offer in 1981. At the same time he was the catalyst which transformed the Heathens from the so-called Cinderella club into League Champions. Bruce first rode Speedway when he was 16 at Irwindale Raceway on the American west-coast. From novice status, he quickly established himself in the US National Championships, twice finishing in the top three positions. 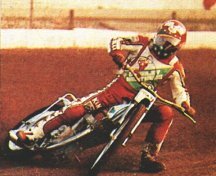 In 1976 he toured Israel and in 1977 Australia and New Zealand, before being lured to Cradley by Dan McCormick and Derek Pugh. On his Dudley Wood debut against Sheffield in a challenge match, he notched just a single point. Never again in his British career would he score less than four for the Heathens. In his second match - his league debut - he scored nine; within a month he clocked double figures and topped the scorechart for the first time with 13; in July he took over as club captain following the departure of Bruce Cribb and hit his first Heathens maximum; and by the end of the year he had achieved an astonishing season average of over 9.00 points per match. In 1979 he won the Master of Speedway competition around Europe, as well as becoming the first American holder of the Golden Helmet match race championship. 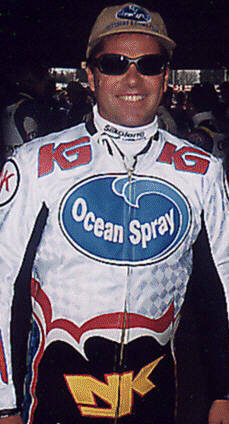 He was runner-up to John Louis in the British League Riders Final and led Cradley to Inter-League Cup success and their highest ever league position. By 1980 there were more cup victories, along with SWAPA Overseas Rider of the Year, American National Champion, a first World Final appearance (scorign nine points) and the now almost customary sweep of the personality awards. He was just hitting his peak. 1981 was Penhall's all conquering year. The World Final at Wembley will forever be remembered for many reasons. 92,000 people witnessed two of the very best Speedway races ever, when the blonde bombshell from Anaheim came from behind to pip first Ole Olsen and later Tommy Knudsen on the finish line. Aside from one of the most memorable finals of all time, Bruce partnered Bobby Schwartz to World Pairs success and this time led Cradley all the way to a first ever league title victory, topping the individual league averages on the way. On top of a clean sweep of all the SWAPA personality awards was a special citation from US President Ronald Regan. Penhall had won the lot! Unfortunately, he had less than one year left in Speedway before moving on firstly to the glittering world of Hollywood movies. 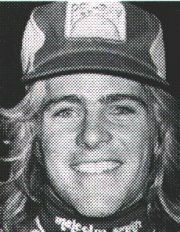 Many believe that Bruce tarnished his golden reputation by walking out before the end of the 1982 season - a decision which ultimately cost Cradley the league title. Before that however, there was a World Team Cup victory for the USA and one last speedway ambition achieved - World Individual success on his home soil in America. He effectively retired on the rostrum and walked away an undefeated champion.